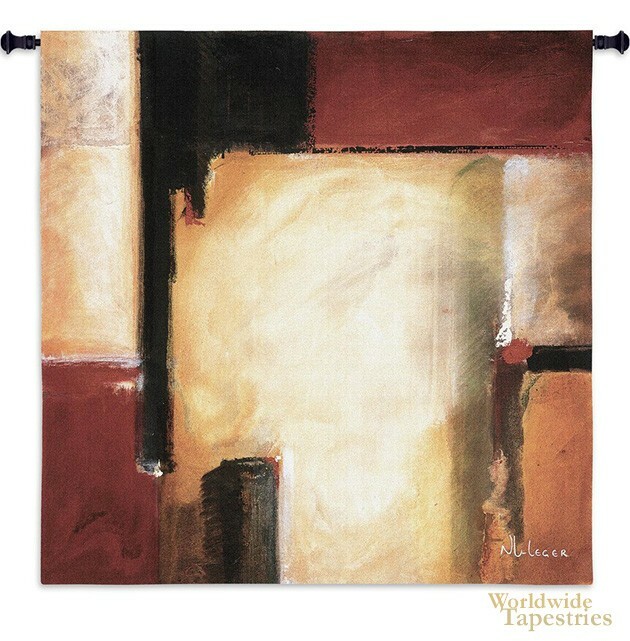 West tapestry is an abstract piece based on the work of artist Noah Li-Leger. This contemporary piece makes use of warm and golden tones or rust, oranges and browns to add a sense of color abstract design to any room. The work of Li-Leger is highly regarded throughout the world, and he was surrounded by art all his life, as his father Don was also a famous artist in the abstract and nature inspired genre. Here in this piece, it is purely the abstract forms that we are seeing with an atmospheric and ethereal central swirl of light. Note: tapestry rod and tassels, where pictured, are purchased separately.